Shukla’s first task as Director will be to handle the ongoing confrontation between the CBI and the government of West Bengal led by Chief Minister Mamata Banerjee. Rishi Kumar Shukla, the newly appointed Central Bureau of Investigation (CBI) chief, took charge as Director on Monday amid a major showdown between the probe agency and West Bengal government over the questioning of the Commissioner of Kolkata Police in connection with a chit-fund scam. 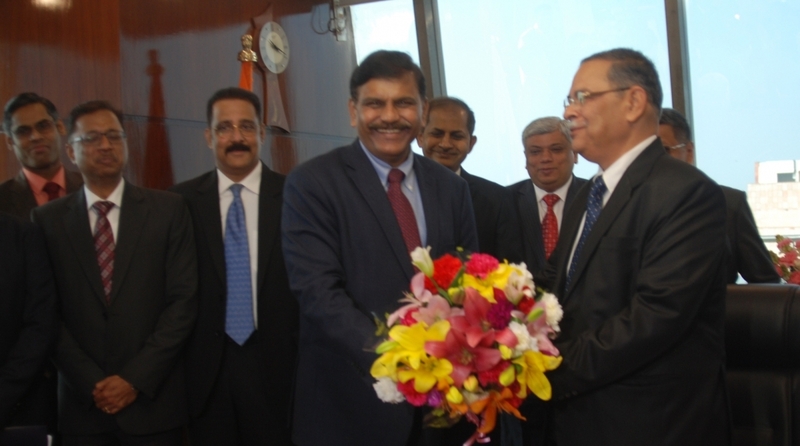 The 59-year-old Shukla was greeted by Interim Director Nageshwar Rao at the agency’s headquarters in Delhi. Shukla’s first task as Director will be to handle the ongoing confrontation between the CBI and the government of West Bengal, led by Chief Minister Mamata Banerjee, over the questioning of Kolkata Police Commissioner Rajeev Kumar in the Saradha chit fund case. CBI sleuths were blocked by personnel of Kolkata Police from entering the official residence of the Commissioner on Loudon Street on Sunday. The CBI officials were subsequently whisked them away to a police station. Banerjee, who is the chief of Trinamool Congress (TMC), immediately staged a dharna outside the residence of the police Commissioner protesting the CBI move and accusing Prime Minister Narendra Modi and BJP chief Amit Shah. “I feel ashamed to talk to such a prime minister who has blood on his hands,” she said. “Narendra Modi and Amit Shah are trying to organise a coup in the state as we had organised the opposition rally on January 19. We were aware that the CBI will attack us after we organised the rally,” Banerjee said, referring to last month’s ‘United Opposition’ rally. In a series of tweets, Banerjee defended the police commissioner and castigated the Centre for playing “vindictive politics”. Meanwhile, the Central Bureau of Investigation (CBI) on Monday moved the Supreme Court seeking directions to Kolkata Police Commissioner Rajeev Kumar to cooperate with the investigation. Shukla, a 1983-batch IPS officer of the Madhya Pradesh cadre, was on 2 February appointed by the Centre as the chief of the probe agency a day after a second high-level selection committee meeting involving Prime Minister Narendra Modi, Chief Justice of India Ranjan Gogoi and senior Congress leader Mallikarjun Kharge. Both meetings had remained inconclusive even though the names of over 70 candidates for the investigating agency’s top job were discussed. Shukla, who was the 28th Director General of Police (DGP) of Madhya Pradesh, was shifted to the post of Police Housing Corporation chief by the state’s new Congress regime. The high-level committee had earlier removed Alok Verma as CBI chief by making him the Director General, Fire Services, Civil Services and Home Guard which he refused to accept. A day after the high-level meeting, Verma resigned from the government job. Verma and Central Bureau of Investigation (CBI) Special Director Rakesh Asthana were sent on forced leave on 23 October after their fight became public. Both the officials had levelled allegations and counter allegations of bribery against each other.